Our team at Nejat Orthodontics specializes in providing braces, clear braces, Invisalign, and Invisalign Teen in Saratoga CA. As a leading orthodontist, Dr. Nejat is knowledgeable and experienced in successfully treating many common orthodontic issues. Invisalign is a form of orthodontic treatment that utilizes sets of clear aligners to gently and gradually provide straighter teeth. Clear aligners are made of lightweight thermoplastic known as SmartTrack material. This patented technology enables optimal results while making it easier to take aligners in and out. Each set of aligners is worn for approximately two weeks until they are replaced by the next set in the series. During an initial free consultation, Dr. Nejat evaluates your treatment goals to determine the best treatment options available. Braces consist of stainless steel brackets that are bonded to the front of teeth and connected by archwires and elastics. Due to modern technology, traditional braces have become less noticeable and more comfortable than ever. In fact, there is an option for clear braces that feature translucent ceramic brackets designed to blend in with your natural tooth color. 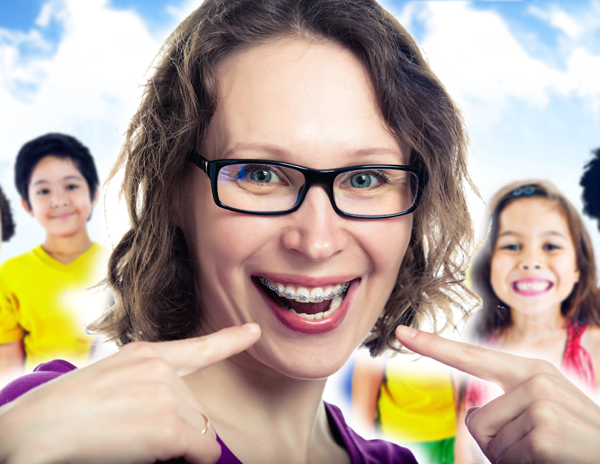 Every form of orthodontic treatment is used for the same purpose, which is to attain a healthier and beautiful smile. As a result, both Invisalign and braces hold their own set of benefits that may appeal to different patients depending on their treatment needs. Many patients wonder the difference between an orthodontist and a dentist. However, an orthodontist in Saratoga CA such as Dr. Nejat is experienced in achieving successful results with your choice of orthodontic care. In conclusion, Dr. Nejat and our team at Nejat Orthodontics are experts in orthodontic treatment. We are here to answer any questions or concerns you may have regarding braces, clear braces, Invisalign, or Invisalign Teen in Saratoga CA. Contact Nejat Orthodontics today to schedule a free consultation. Call now 408-320-1553.